Guys, seriously you need to slap me on the wrist and tell me to come back. I have so much trouble blogging at the moment I dont know what's wrong with me. 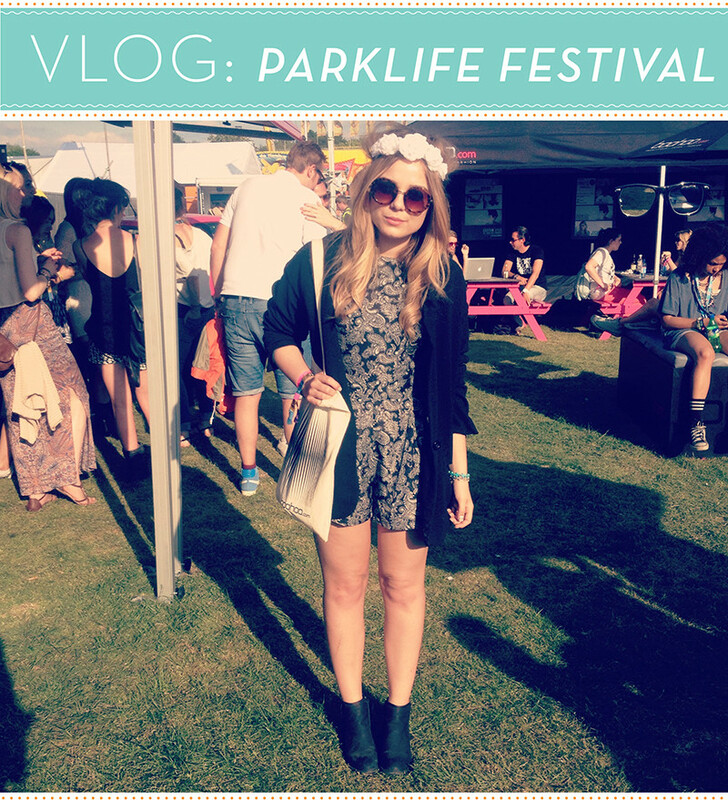 Regardless, On Saturday I went to a Parklife festival with Boohoo. It was really lovely and had a chill time in the sun with some bloggers and soaking up some festival atmosphere. We chilled at the Boohoo bus and did what we did best, stole their free wifi to check our social networks. Such bloggers. We also all looked absolutely fabulous kitted out in Boohoo festival fashion. I chose this playsuit from the website without really thinking about. I don't think the photo on the website does it justice at all! I also added a standard festival item in the form of the floral headband. I haven't got a good picture of the boots but I had my eye on them for ages as I thought they were so cool. I love the glitter patch, perfect for magpies like me! All the glitter! Remember to check out my vlog above or over on my channel, I need to vlog more. I do genuinely like filming stuff, I just don't do anything interesting. Despite having a lovely time. I came down ill on the Saturday night, I've been ill for a while and I've mentioned it on and off on the blog before but it came on again so I ended up having to go home Sunday morning to rest. I was sad, but I think I'd have never have coped another day. Im getting old and cant do festivals these days! Sob! I know i'm the worst blogger at the moment, I even missed my blogs birthday. However I shall be posting tomorrow about it including the giveaway, Sorry for being a fail! I love music festivals. The atmosphere is always so relaxed and fun. 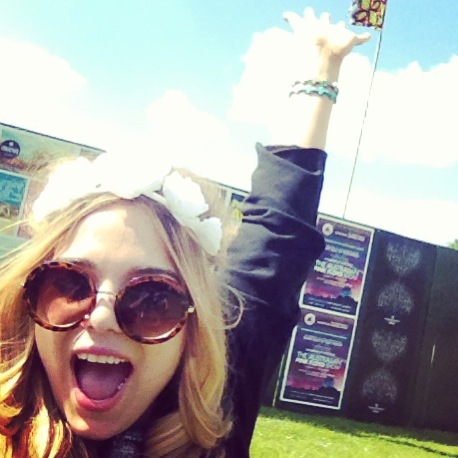 I'm going to one in August and I need to get a floral headband like yours!! hope you geht well soon! Your festival look is amazing. Hope you get better soon! 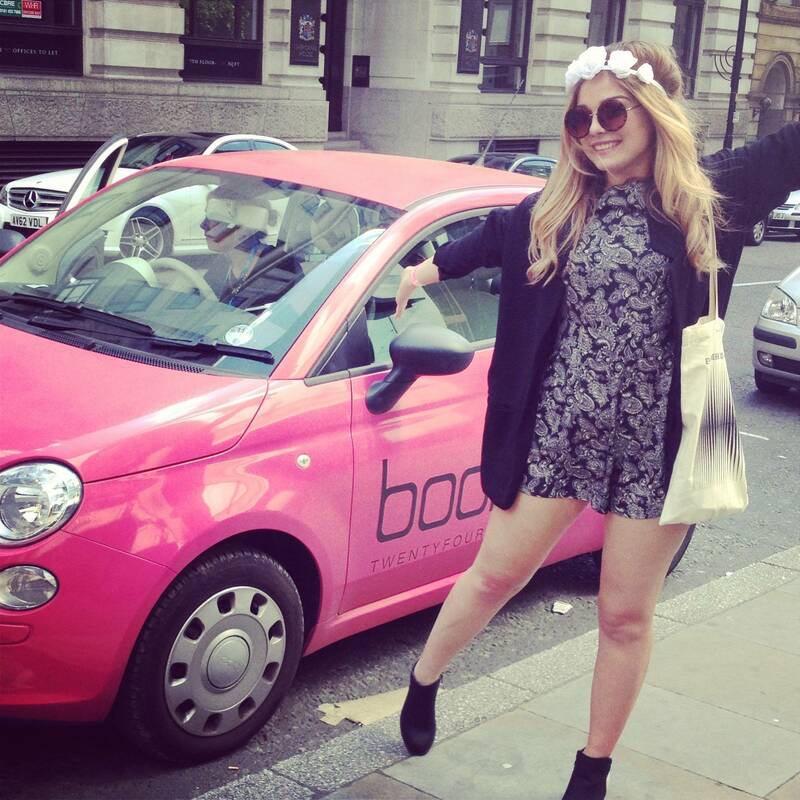 I LOOOVE that boohoo car! I love the playsuit so much! Awww was really nice to 'go along with you' on your weekend. And I get in those blogging ruts sometimes too...it just doesn't always come to ya, don't stress! Feel better! And I really like the headband you're wearing! I love playsuits and really love the paisley pattern on yours, its so pretty! The floral crown looks so nice with the outfit! What a pretty outfit you have, I am about to watch the vlog. Festivals always seem appealing, but the first time I went it was when it rained and rained and Glastonbury turned into a mud bath, it was not a pleasant experience. Stunning! I love your dress and headpiece!! You look darling in that floral headband. love your dress, it's so pretty! Your hair looks so nice here! Love the headband!